There should be some kind of motivation for people to work out as they do not put enough emphasis on its importance to health. 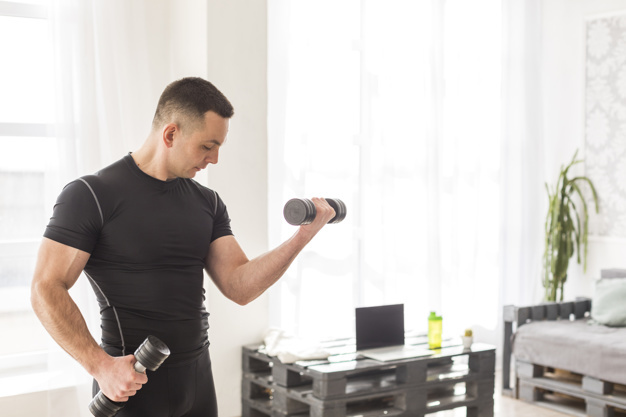 Clubs and organizations could do well to start motivating people and their members to begin a physical fitness program and disseminate information on its effectiveness. Exercises are generally prescribed by doctors to patients. Even patients in the hospital are often advised to have physical therapy and mild exercises after suffering a stroke. Before beginning a strenuous exercise, elders, pregnant women, and those who are hypertensive patients need to consult a physician for an exercise program. There are exercises for each category, but generally, 30 minutes of physical activity should be practiced daily for health maintenance, 60 minutes to prevent weight gain, and 90 minutes to maintain weight loss. The 30 minutes physical activity could be done in the house and/or in the office, and has no need to go to the gym if one is too busy. A housewife can divide a 30 minute workout in different house chores; 10 minutes cleaning the house, 10 minutes gardening, 10 minutes stretching, or watching video exercises. To an employee, 30 minutes can be used by walking up to the bus stop and using the stairs instead of the elevator. Anyone could be imaginative in what kind of exercise to do, as long as 30 minutes of physical activity is consumed within the day. Dancing and aerobics aside from being a work out could be an outreach program in a community. It is also some kind of fellowship. It could be done on any day of the week, in the playground, in the church, or in the house of a member.